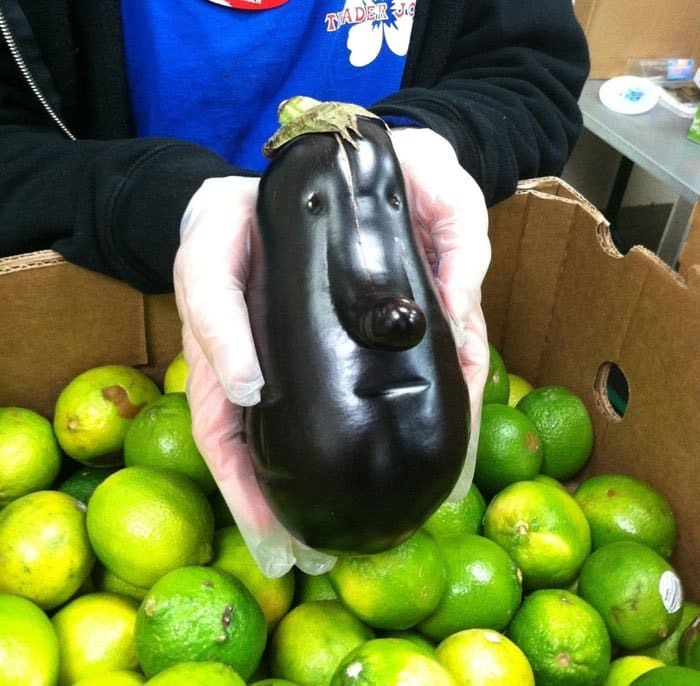 Fruits and vegetables are something that most of us interact with on a daily basis. 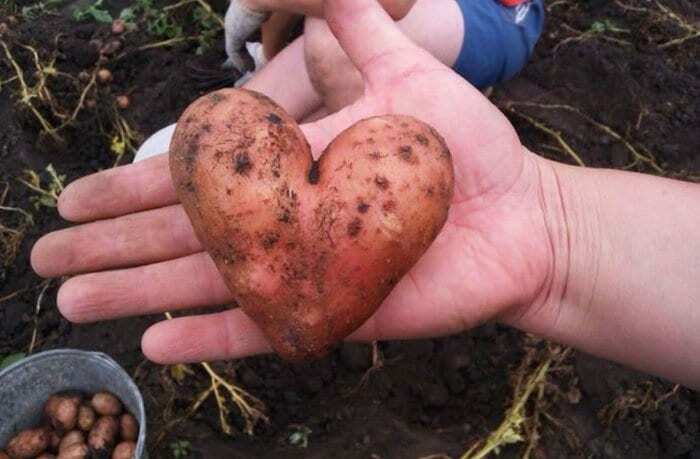 Often included in our meals, they offer us plenty of yummy nutrition. 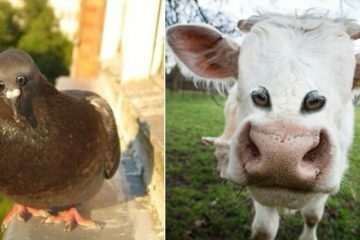 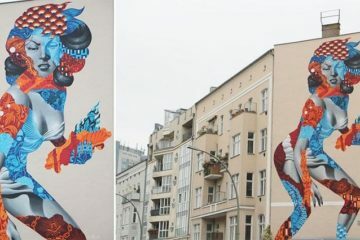 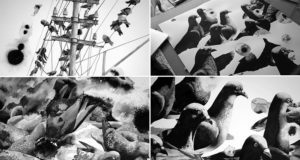 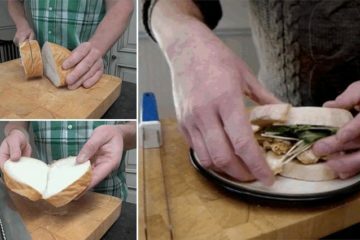 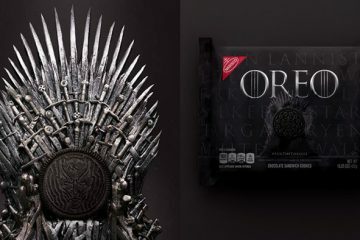 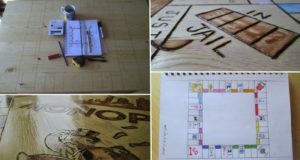 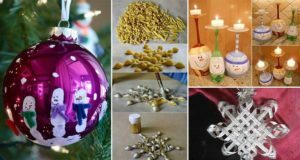 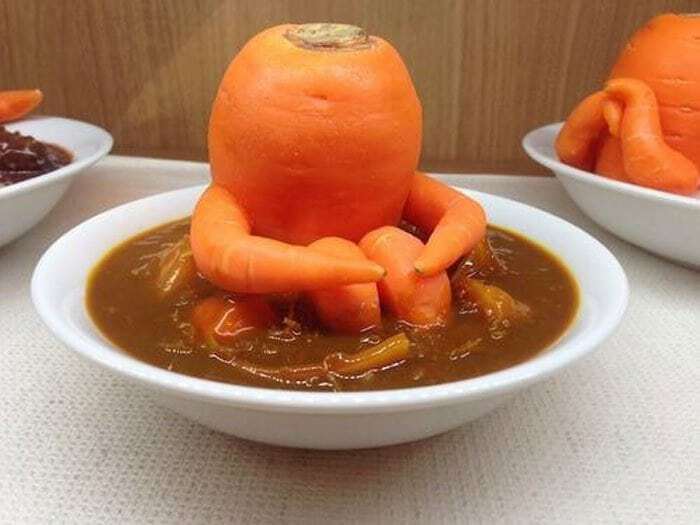 However, here we present a selection of images showing fruits and veggies that you wouldn’t have the heart to ingest as they are all amusingly unique in various ways. 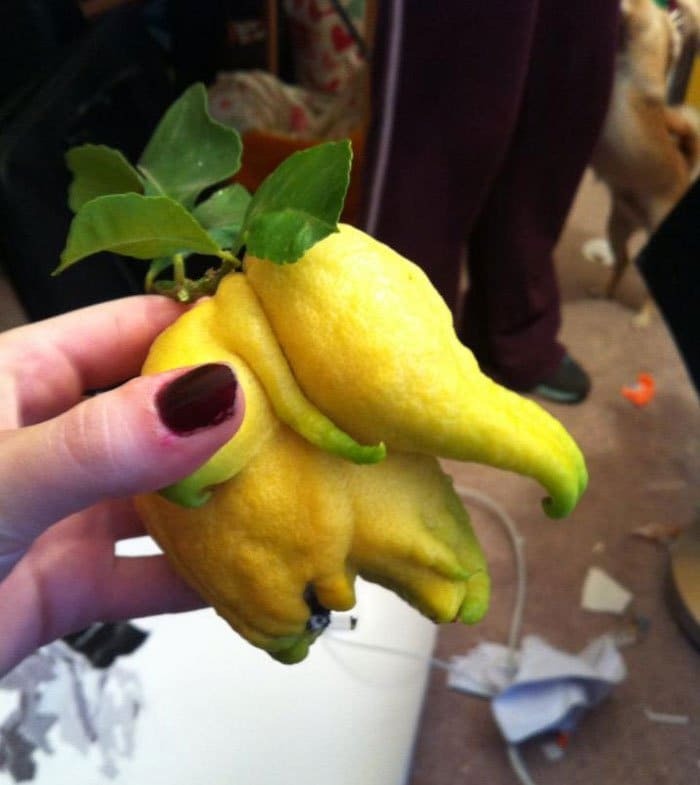 We’ve got everything ranging from an elephant shaped lemon all the way to a running radish. 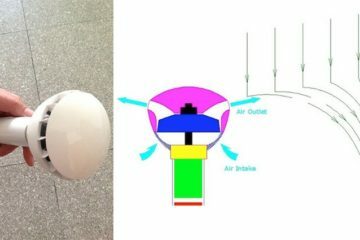 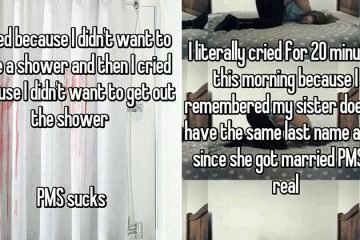 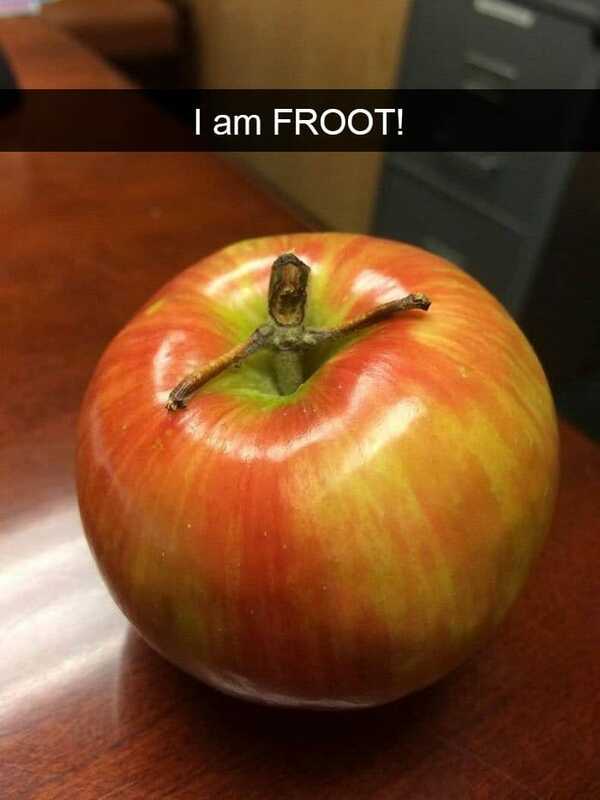 Take a look and prepare for a good laugh! 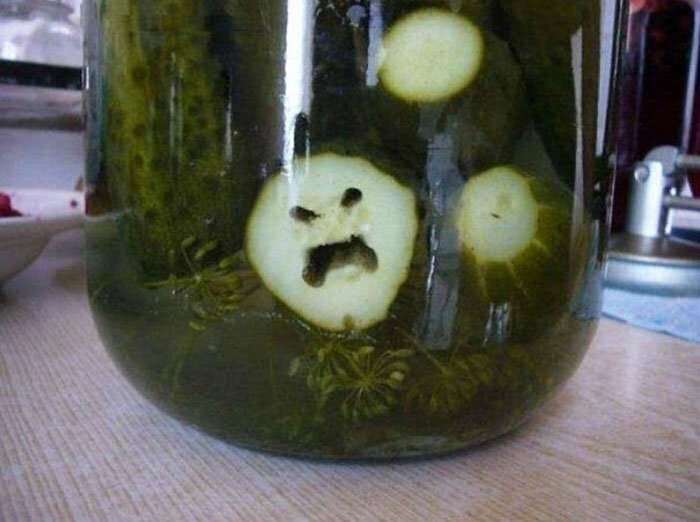 This pickle will haunt your dreams! 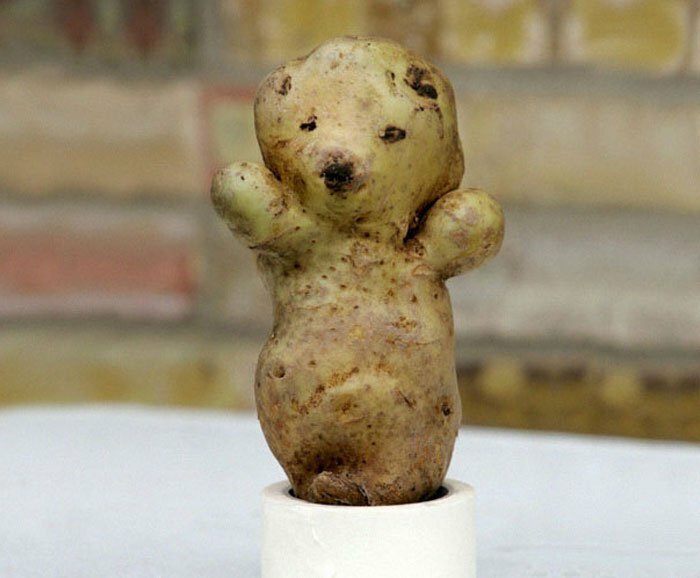 Potato bear wants a hug. 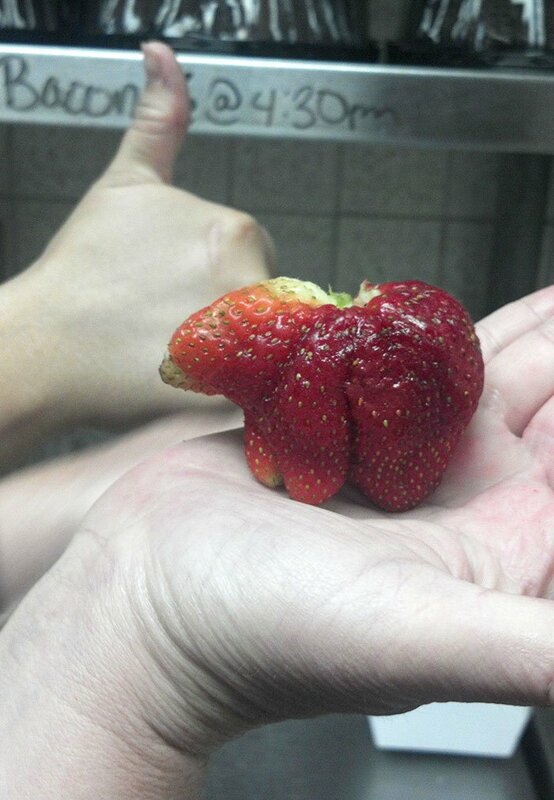 That is one juicy looking bear! 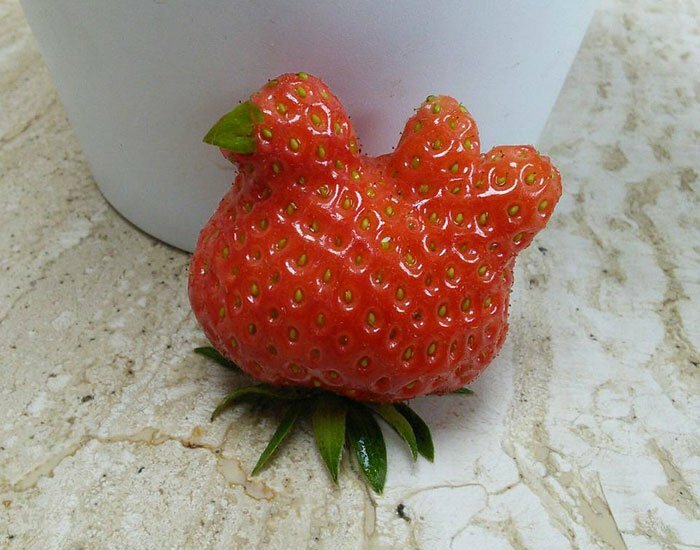 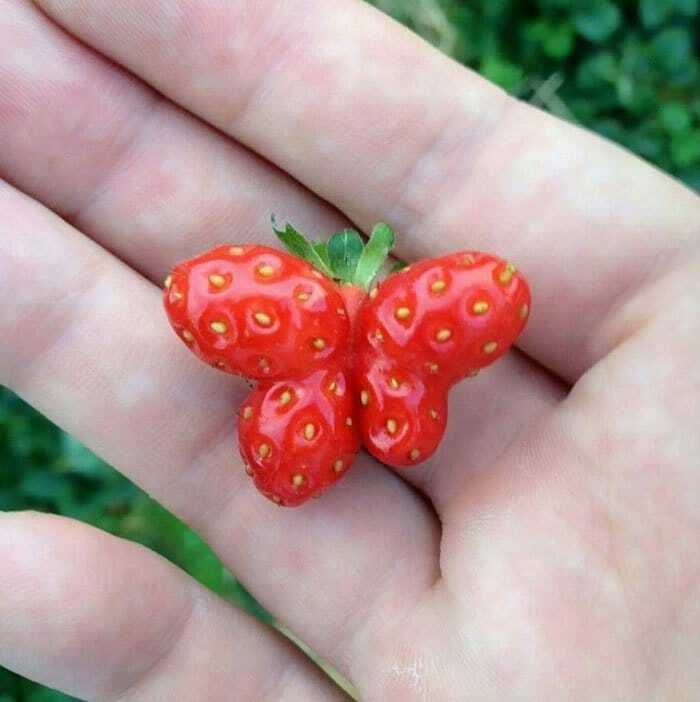 This strawberry chicken even has a leaf beak! 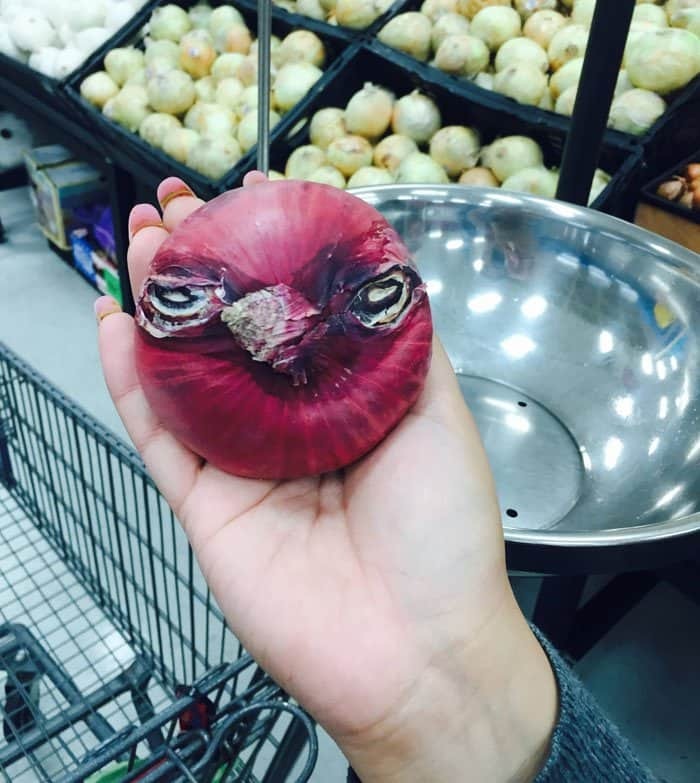 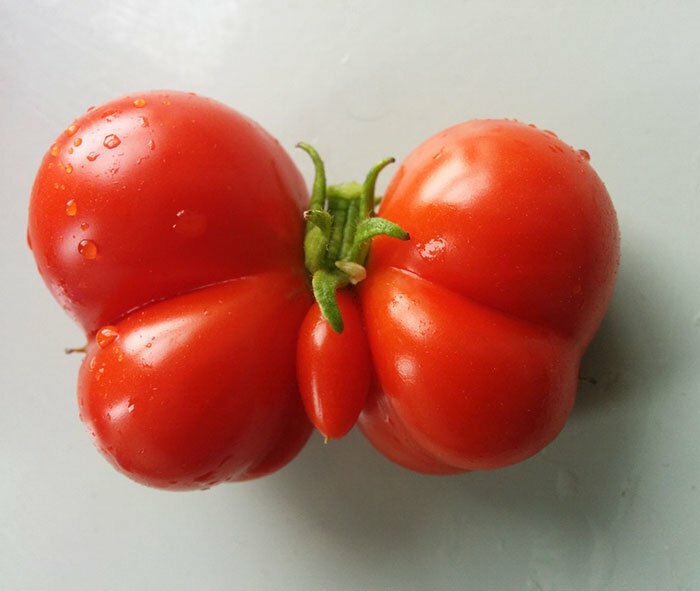 This tomato needs to be put in water! 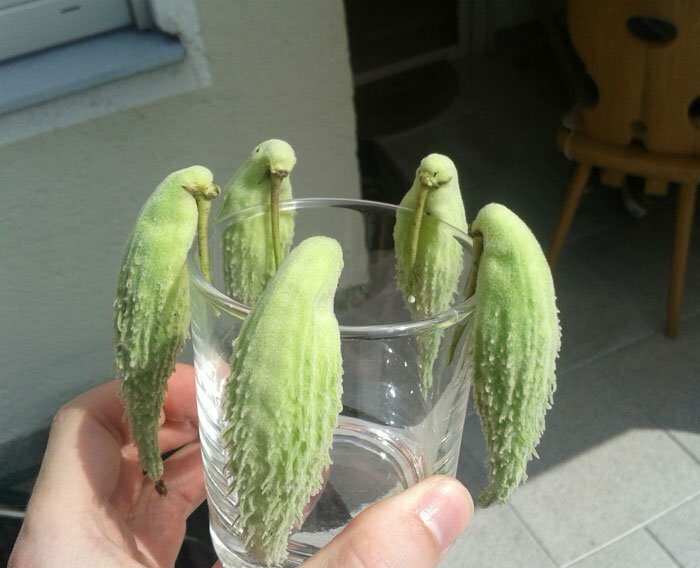 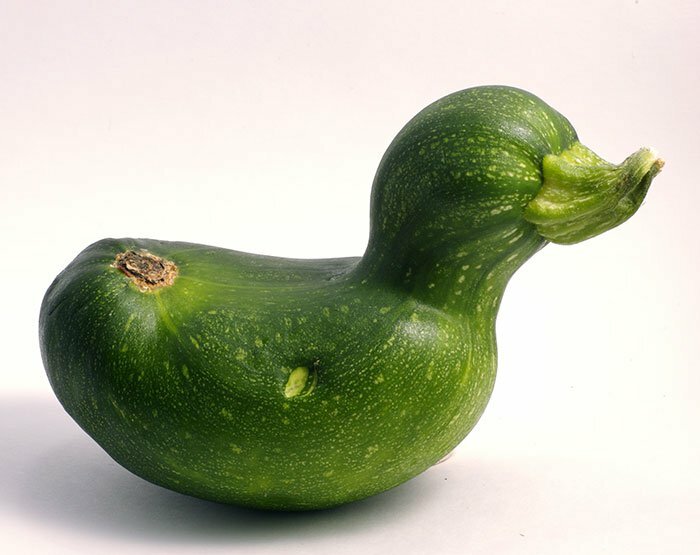 If there was an awards ceremony for oddly shaped fruits and vegetables, every single one of these unique creations would be in the running for a prize. 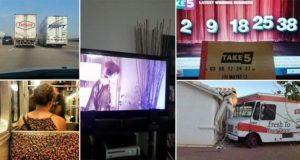 It’s quite sad to think many of these pieces will unfortunately rot and decay eventually but at least their legacies will live on through images. 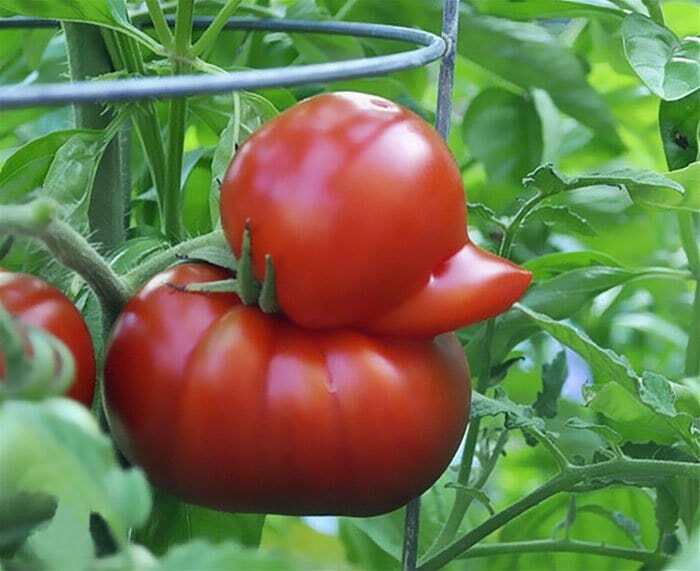 These funny specimens really have brightened up our day and we’re certainly going to be more vigilant in the future in the hopes we can spot some of our own fruit and veg hybrids! 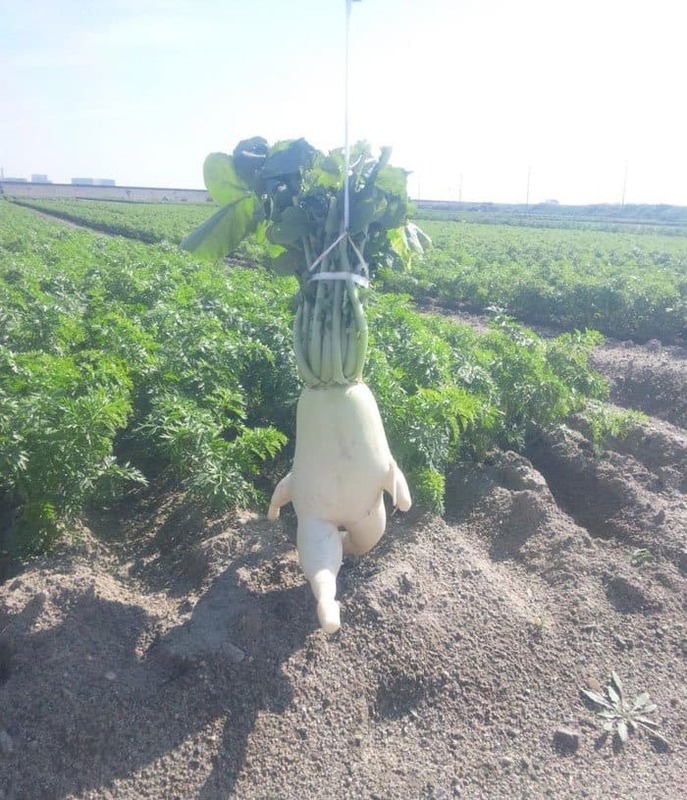 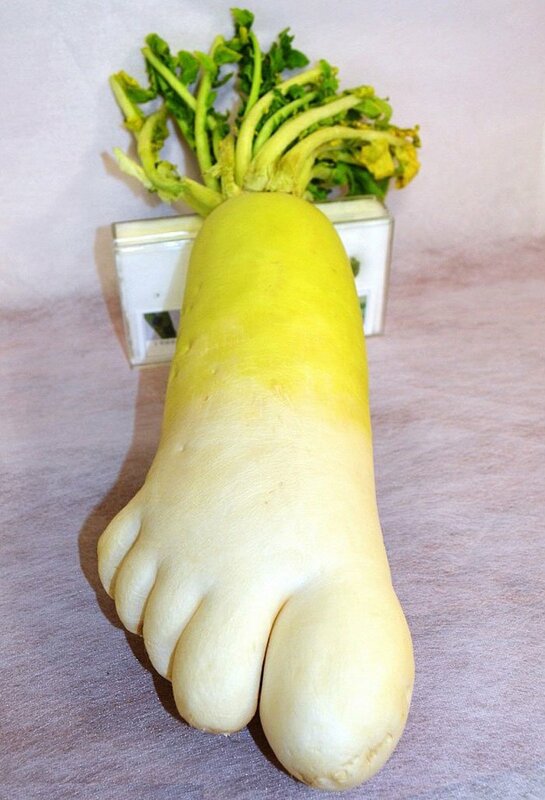 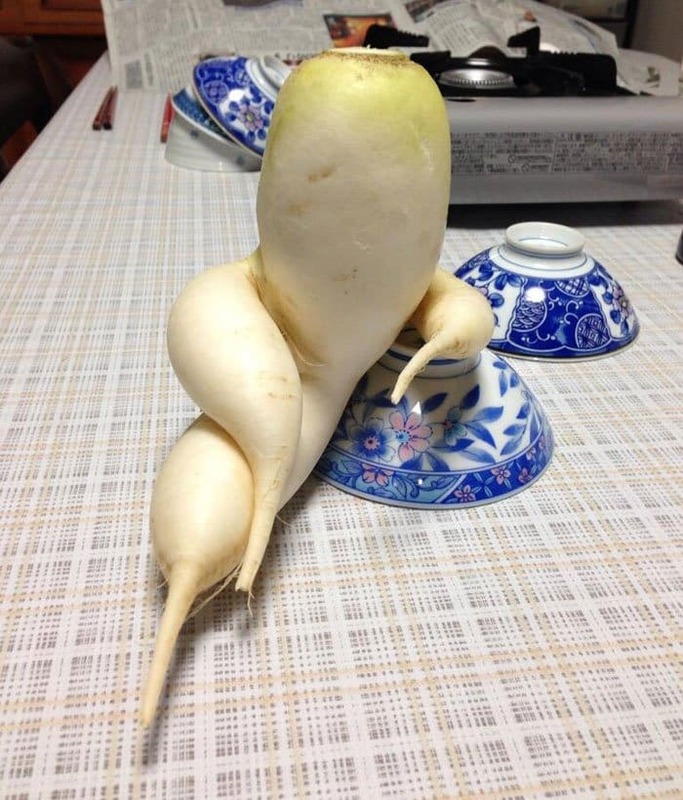 We wonder what size shoe this radish is? 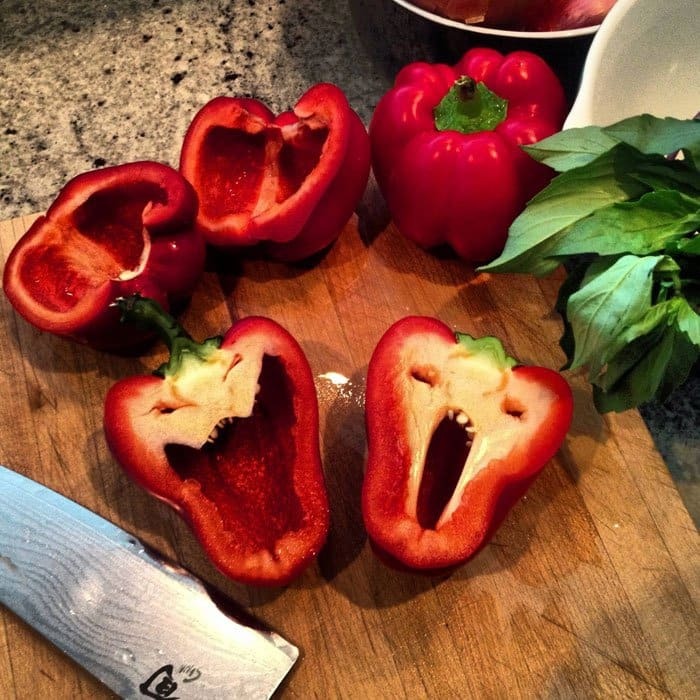 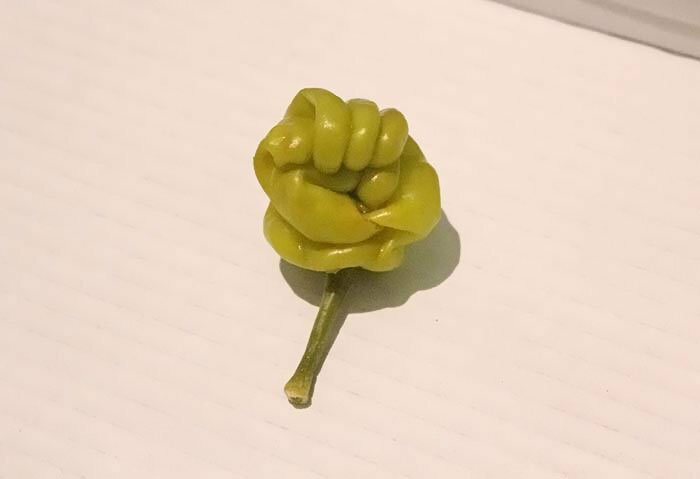 This pepper’s last wish was to scare you. 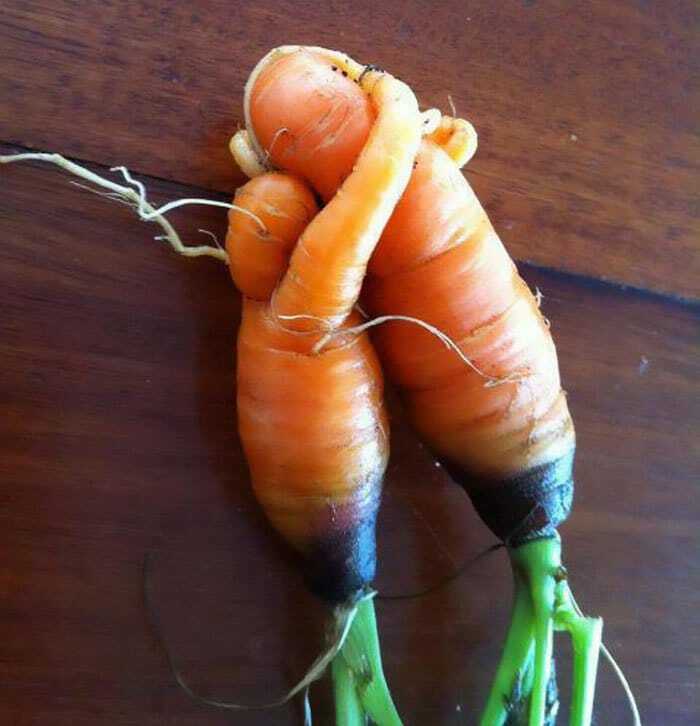 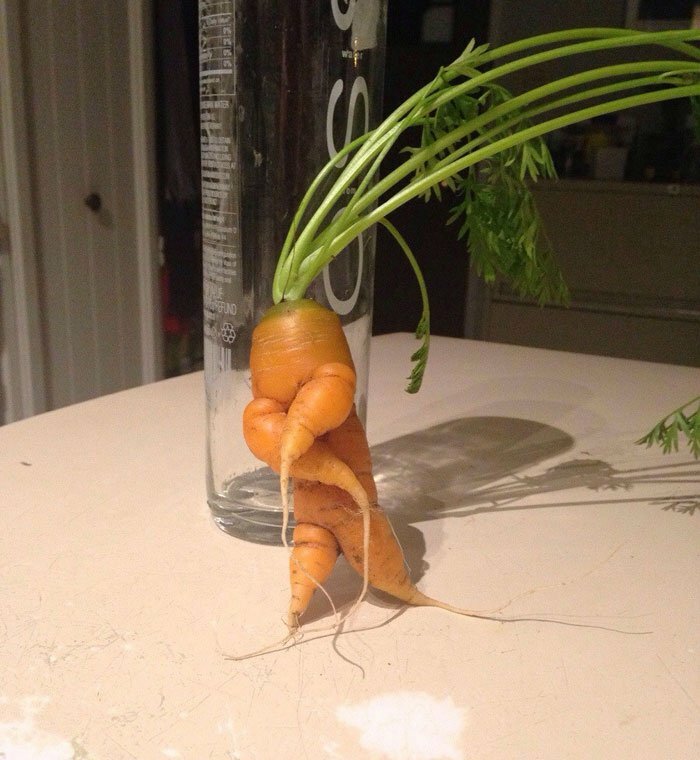 A carrot family bonding moment captured. 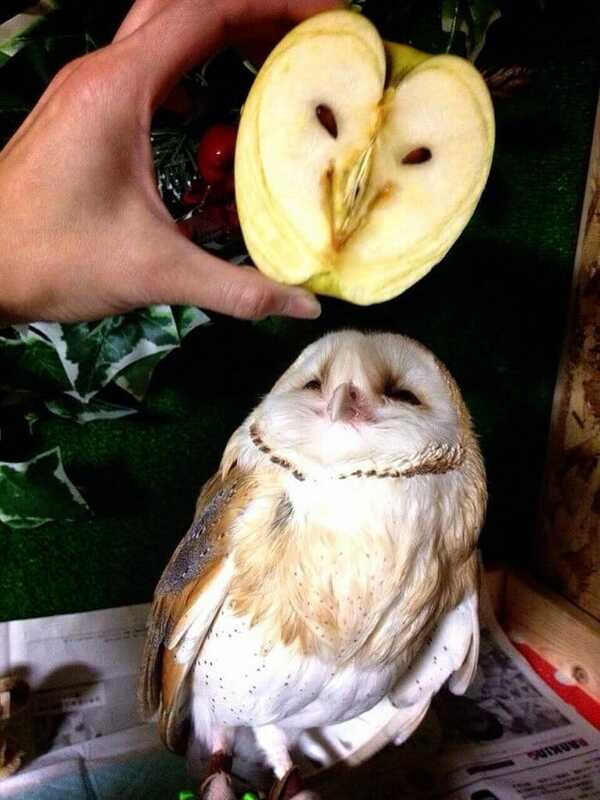 The real owl is looking at the apple like ‘there’s only room for one of us’. 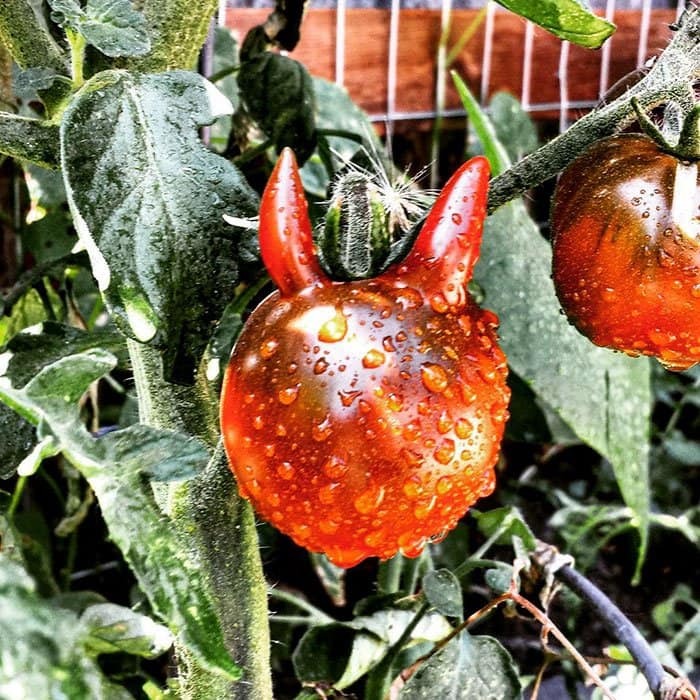 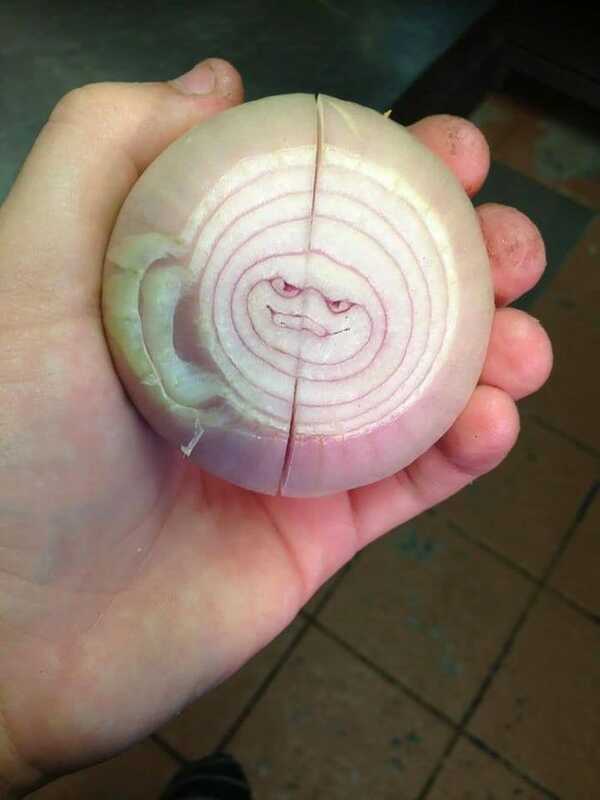 We bet this tomato has a cheeky side. 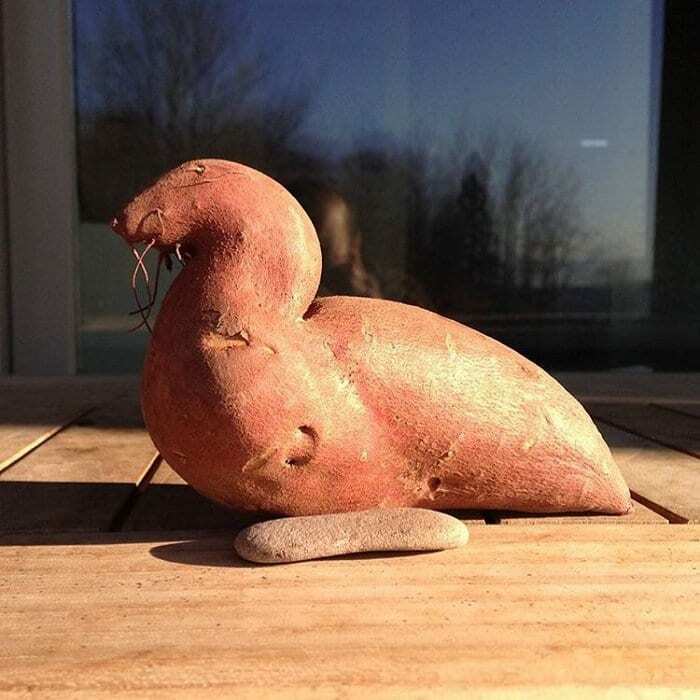 Sea lion potato complete with whiskers. 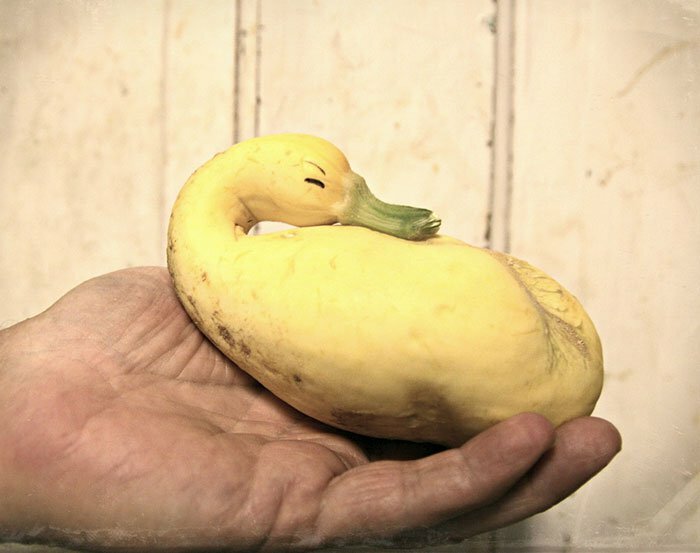 Nothing to see here, just a squash duck having a rest. 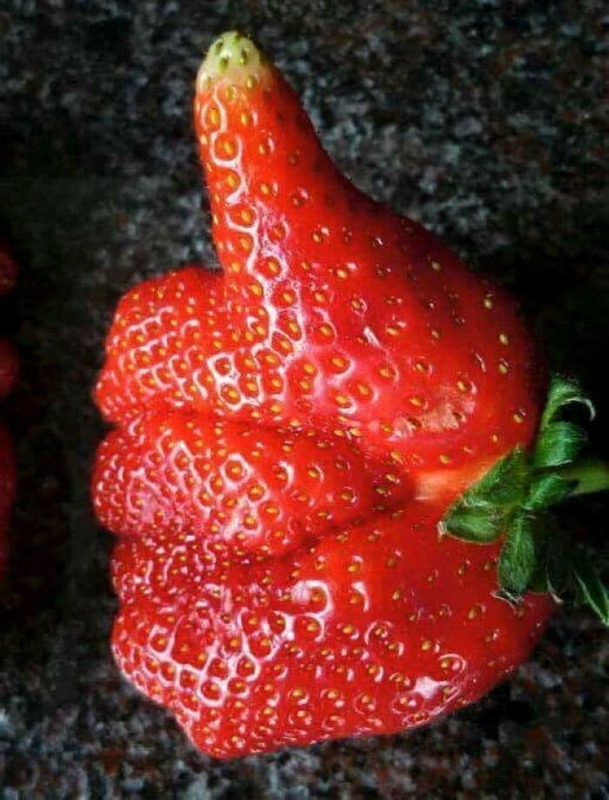 It’s a thumbs up from us!